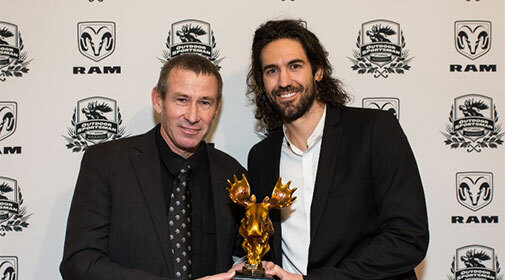 "Jim Shockey's Hunting Adventures" received a golden moose trophy for the "Best Overall" category. In all, 20 golden moose trophies were handed out for outstanding programming and production from the last year. 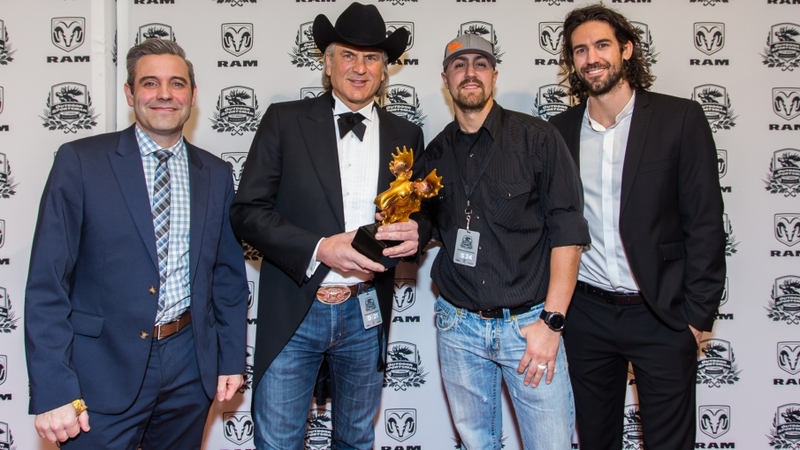 LAS VEGAS (January 19, 2017) – Outdoor Channel and Sportsman Channel, part of Outdoor Sportsman Group – Networks, presented Outdoor Sportsman Awards for the outdoor lifestyle industry’s best producers, talent and production during the 17th Annual Outdoor Sportsman Awards powered by RAM. The Outdoor Sportsman Awards ceremonies were held on Thursday, January 19, 2017 at The Venetian Theatre in Las Vegas during the National Shooting Sports Foundation’s annual industry gathering, the Shooting, Hunting, and Outdoor Trade Show (SHOT Show) and Conference. Twenty Outdoor Sportsman Awards were handed out at this year’s event hosted by Tom McMillan of Sportsman Channel’s MCMILLAN and Michael Waddell of Outdoor Channel’s Realtree Road Trips with Michael Waddell and Michael Waddell’s Bone Collector. BEST NEW SERIES – OUTDOOR CHANNEL: Carter’s W.A.R. Special guests during the evening included: Terry Schappert (host of Hollywood Weapons), Joe Mantegna, NBA alumni and OSG hosts Jared Jeffries (Modern Fishing) and Brad Miller (Country Boy Outdoors). Musical performance by OSG hosts and country music entertainers Nate Hosie, Nick Hoffman and Kristy Lee Cook, rounded out the evening. The entire ceremony was live-streamed for the first time ever and can be seen at MyOutdoorTV.com and Outdoor Channel’s Facebook page.